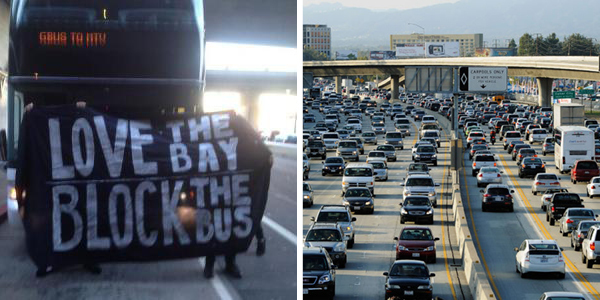 On the west coast, there’s the classic rivalry of NorCal versus SoCal. 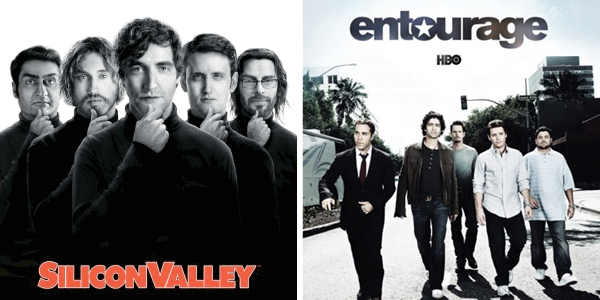 So, how does dating stack up between the two great cities of San Francisco and Los Angeles? SF: You were introduced at a house party. Or online, through one of the many dating apps everyone seems to be on. LA: At the Equinox while snapping a #gymselfie or as you were both picking up your puppies from doggy daycare. SF: Overpriced coffee at an artisanal, organic coffee shop in the Mission. LA: Overpriced cocktails at a trendy restaurant in Venice. SF: At 6:15pm, wearing a North Face jacket and sneakers. He was 15 minutes late because his shuttle bus was attacked by protestors. LA: 30 minutes late because of bumper-to-bumper traffic on the 405. 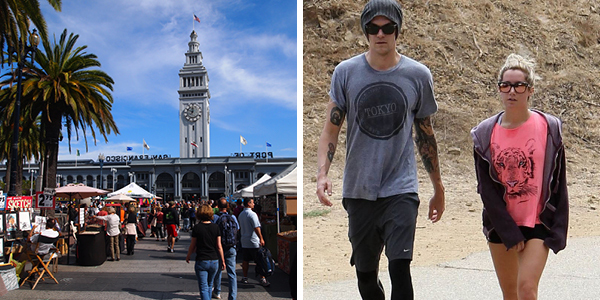 SF: Wearing jeans and a t-shirt, carrying a yoga mat. LA: Wearing a skin-tight Herve Leger dress and heels, yoga mat optional. 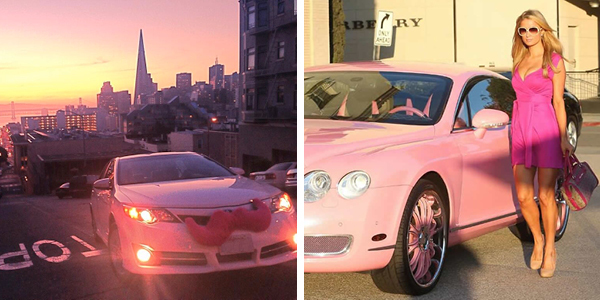 SF: You compete to see who can get an Uber or Lyft on their phone quicker. You split fare on the app. LA: You make sure to check out what kind of car he/she drives. Then you drive away in opposite directions. SF: Walking around the farmers market, picking up locally grown strawberries. Or dinner eating organic kale and quinoa salad at The Plant. LA: Pretend to be outdoorsy for a day. Put on a pair of $100 lululemons and “hike” Runyon Canyon. SF: Snapchat. Any evidence of your flirty exchanges will self-destruct in 10 seconds. SF: Greater than 50%. People always need a +1 to bike across the Golden Gate Bridge with. LA: Depends on how far you live from each other. If he/she lives across the city, it’s basically long-distance. Did you enjoy this post? Then make sure to check out Dating on Coffee Meets Bagel vs. Tinder. For those living in the city of Angeles and looking to escape the foggy pollution for some blue skies, look no further than the beautiful city of San Diego. Although total drive time is about 2 hours, there is nothing more beautiful than driving down the I-5 with the beautiful Pacific Ocean view to your right and an even more beautiful Bagel to your immediate right. There’s more to San Diego than just beaches and burritos – check out the following creative date ideas in LA for how to make the most out of a spontaneous road trip to San Diego! On your way down the 5 towards San Diego, stop by Carlsbad for some strawberry picking before the season ends with U-Pick Carlsbad Strawberry Company! For $10-20, you get a good sized bucket to fill it up with freshly picked strawberries for the rest of the drive down. How to get there: From the I-5, merge onto CA-78 E to take the County Highway S11 exit. Turn right onto El Camino Road, and then left onto Cannon Road, and you should be able to smell your destination up ahead! Tips for the picking: Yelpers have claimed to have brought their own bucket, but the company only allows you to use theirs. Come with an empty stomach and maybe you’ll be able to taste some while you’re picking away! No, we don’t mean eat potato chips! Get active with your Bagel and hike the famous San Diego potato chip hike – known for looking like it is going to break any second. How to get there: Once you’re on I-15, take the Poway Road exit by Poway Lake. Keep driving until you see a sign for the trail. Note – parking will cost 8 dollars if you’re a non-resident of Poway, but the view will be worth it! The viewpoint: the trail extends around the lake, starting by the bathroom. Continue on the trail and you should see several rock formations. Once you see the potato chip rock in the distance, whip out your camera and get ready to snap some awesome jumping shots (if you dare!). This classy little San Diego spot sure lives up to its name when it comes to serving dessert. Each dish that comes out of the kitchen looks like something out of a magazine. 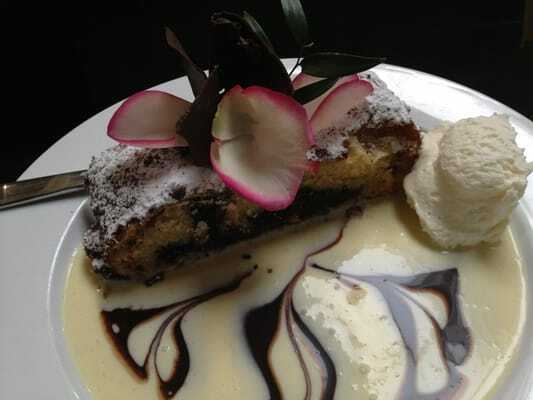 From fresh fruit tarts to decadent chocolate bread pudding, Extraordinary Desserts is the place to indulge. This place is also great if you want to end the night on a good note or if you really want to impress your bagel. The View: There really isn’t a view from the restaurant, but it is close to beautiful Balboa Park. You and your date could take an evening stroll together to end the night perfectly. This week we are taking a trip back into time for Throwback Week! We’ll be taking a look at some of the best old school diners, drive-in movie theaters, ice cream parlors, and more. Our first stop is LA, which is surprisingly a hub for vintage clothing and other items from way back when. We’ve pick out some spots that can make for some creative date ideas if you really want to impress your date, or if you just want to have a good time. Harbor House Cafe: This diner in Sunset Beach serves up your typical burgers and sandwiches along with delicious milkshakes to wash them down. But wait, there’s more! Not only is this eatery located right next to the beach, it’s also open 24/7. So if you want to end your beach day the right way or you’re just craving an Oreo milkshake at 5 in the morning, this place is for you. Harbor House Cafe serves up great milkshakes and is right next to the beach. What more could you ask for on a first date? Origami Vinyl: No, this place doesn’t teach you the traditional Japanese art of paper-folding. But this place does have is some cool vinyl records to add to your collection. The other cool part about this place is that it is a record label for Indie bands in the LA area; they also host small concerts in their shop. Origami is the place to be when LA Indie bands perform at the shop. LA Midnight Movies: If you’re looking to watch some of your favorite movies from your childhood on the big screen be sure to follow @NERDSLIKEUS on Twitter. This group shows some of the best films from the 80’s and 90’s at the historic Vista Theatre in Hollywood. Don’t miss out on the fun! When you want to watch Ghostbusters on the big screen…Who you gonna call? LA Midnight Movies! So far we’ve covered where to watch fireworks shows in San Francisco, DC, Chicago, NYC, and Boston. 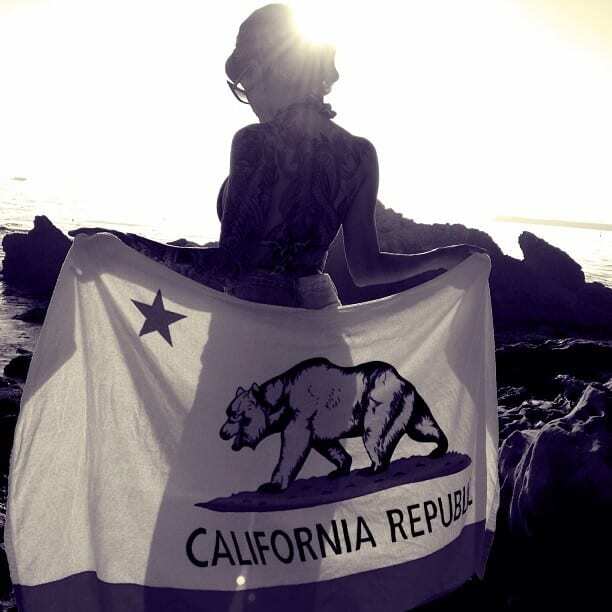 The “City of Angels” is our last stop on our list of Independence Day Celebrations. 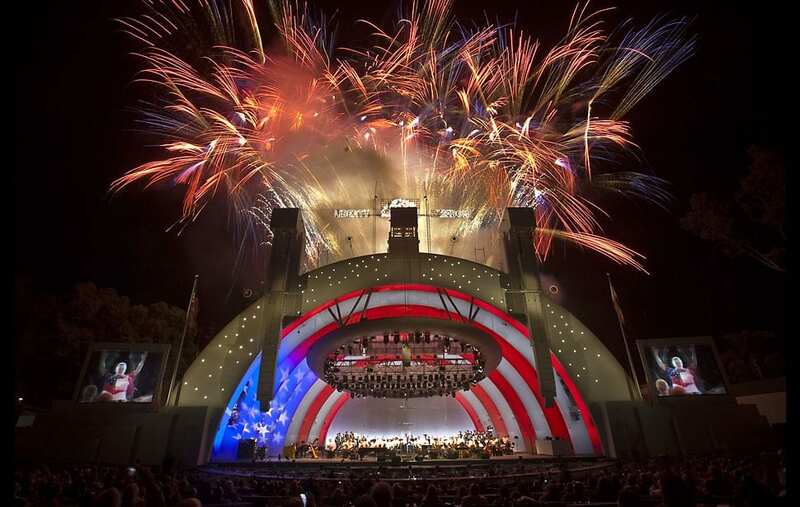 There are plenty of ways to celebrate 4th of July in LA, A LOT in fact. So we have picked 3 events where you can watch fireworks light up the night sky in SoCal. 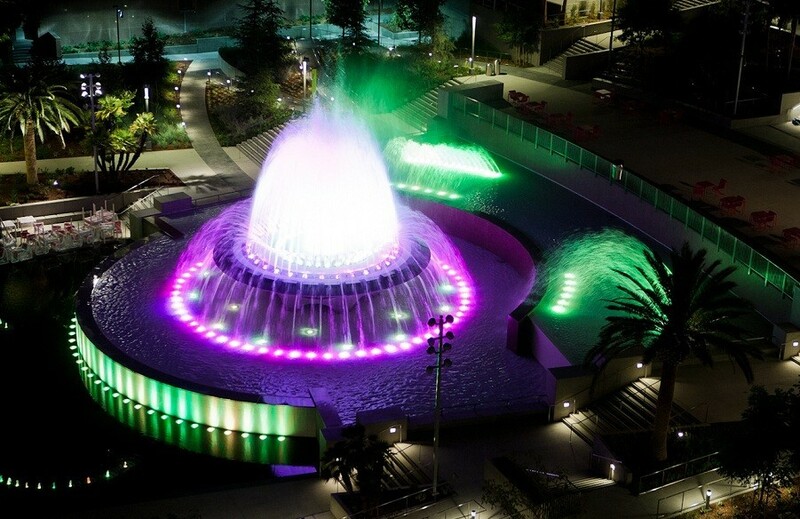 This free Independence Day celebration at Grand Park in LA is fun for everyone. 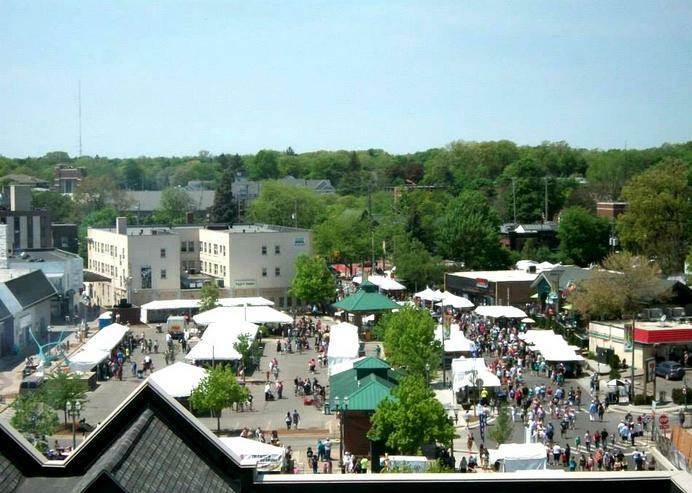 This party is four blocks long with live music and performances as well as food trucks like Holy Aioli and The Greasy Weiner. Although there won’t be a fireworks spectacular, there will be a light show combining pyrotechnics and special effects. Although there won’t be fireworks at this year’s block party, there will be a light show incorporating pyrotechnics. If you’re looking for a show that will light up the night sky by the ocean, then Huntington Beach is the place to be. With free events running from July 4-7 it’s hard to not be a part of the celebration. There is also $10 VIP seating for the fireworks show on July 4. You can watch fireworks being launched from the pier at this year’s Huntington Beach Independence Day celebration. The annual Redondo Beach fireworks show is a special day event that takes place at Seaside Lagoon. While you do have to pay to get in, you do get front row seats for the fireworks show. There will be live performances as well as free paddle boarding. Attendees at the Redondo Beach 4th of July celebration with get front row seats to a spectacular show. We’re back with our series on best summer date ideas! With Chicago & SF covered, LA – you’re up next! 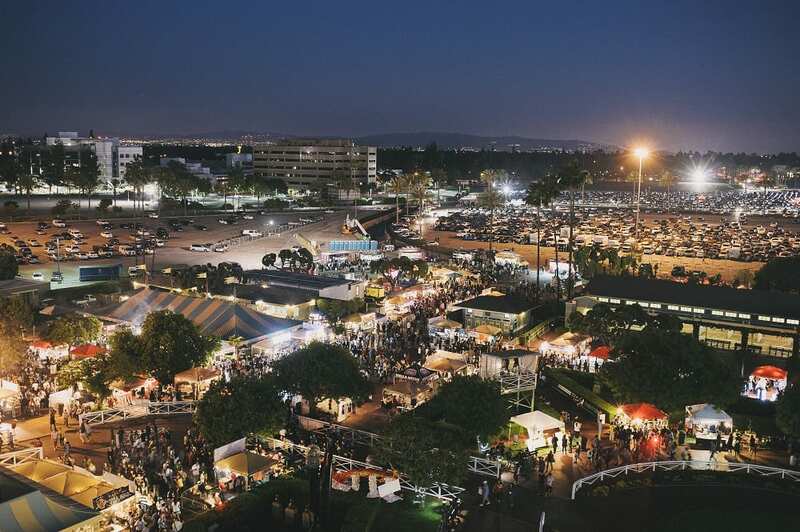 Local art, food & music festivals are the place to be for your next Bagel date, so check out these local festivals & best summer date ideas in LA! 1. Drink:Eat:Play Wine Festival – Stroll along the Santa Monica pier at sunset with your Bagel & taste wine from over 50 wineries – what couldn’t be more romantic than this? 2. 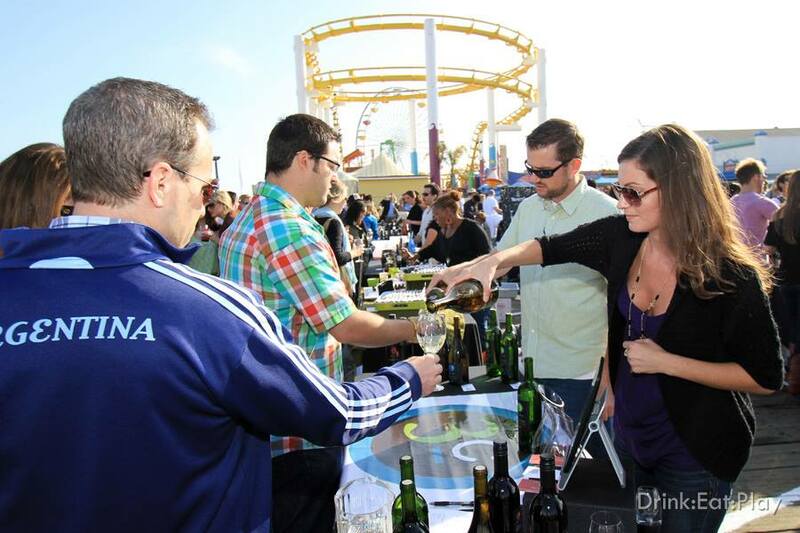 LA Street Food Fest – This is the “baddest & most affordable” tasting event for all food truck lovers. You pay 1 price for a free sampling from 100 street food vendors. Soak up the sun and fill up your bellies with this awesome event! 3. 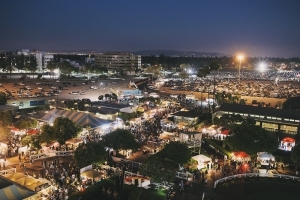 626 Night Market – Hit up the 626 area code in Santa Anita for the largest gathering of Asian night market vendors – including food, live music, artists, film, and games. Serving everything from stinky tofu, pork belly buns, and Vietnamese egg crepes to sweet delicacies like boba, lychee lemonade, and good ol’ fashioned kettle corn. This is the final post in the “Getting Plugged In” series. We previously covered New York, Boston, San Francisco, Chicago, and DC. Now we’re in the city of Los Angeles. With it’s famous spots like Huntington Beach, Santa Monica Pier, and Hollywood, LA has something for everyone. So if you’re new to LA sit back, relax, and enjoy some of that Cali-life. If you’re the type of adventurous person who doesn’t like planning, follow @lahappenings on Twitter for your outing for the day. From free movie screenings to late night comedy shows, you can definitely find something to do via LA Happenings. Not sure what to do? Maybe a comedy show might cheer you up. Get a taste of the high life with this website. 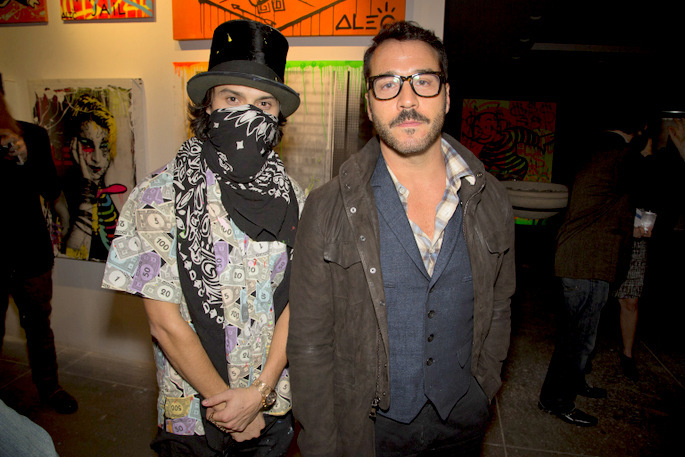 Minx Society has all the info on the hottest LA fashions, restaurants and more. Korean Barbeque is big…and I mean BIG…in LA. And when I say BIG, I mean you are not a true Angeleno if you have not had Korean BBQ at least once. Fortunately there’s an app for that. KBBQ shows a variety of restaurants in the area based on price. The app even has Yelp reviews on the restaurants. 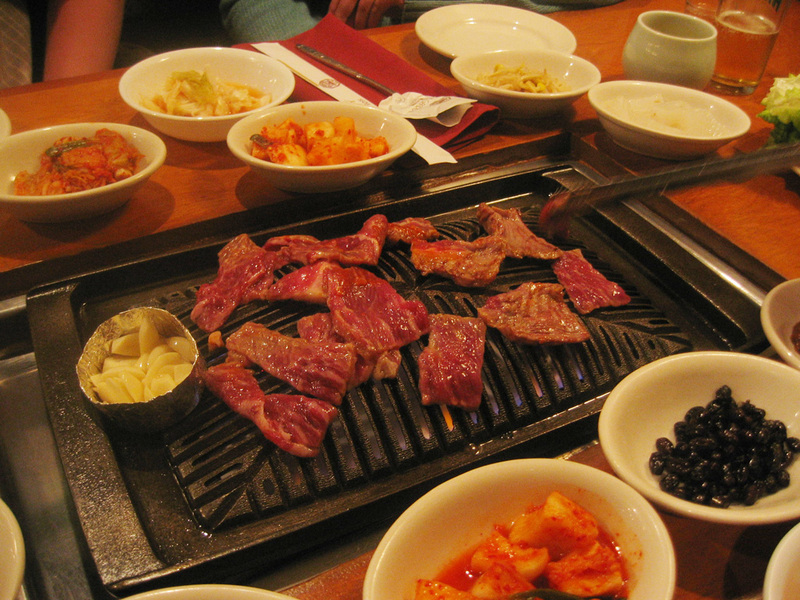 There’s nothing like meat sizzling in front of you in a Korean BBQ restaurant. 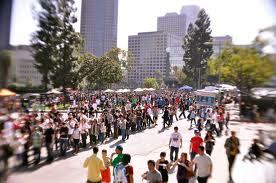 Find LA Food Trucks– Is chasing down the famous Kogi truck one of your life’s goals and you don’t know where to start? Don’t worry, Find LA Food trucks has got you covered. Not only does it give you a real-time list of trucks that are open each day, it also provides a map so you can find your favorite grub on wheels near you. The Kogi BBQ truck is well known throughout LA, and has been recognized as one of the best food trucks in the nation. LA is a pretty big area, good thing the LA Metro covers a good portion of it. With the Metro Mobile App you can get around the City of Angels without even setting foot in your car. The Metro Mobile App will tell you where and when to catch your next bus or train. 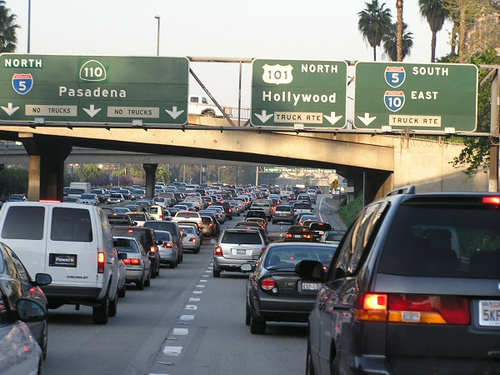 Inrix Traffic– LA traffic is famous, or rather infamous, during rush hour and even during non-commute hours. Well never fear, Inrix Traffic is here! With real time traffic updates and traffic forecasting, Inrix can help you navigate through the busy streets of LA like a pro. Time: 3 Hours, at a good pace. How to Get There: From the PCH, take Yerba Buena Road (right near the border of Los Angeles and Ventura Counties) past the Circle X Ranch. A dirt parking lot is on your left after rounding a bend. 6 mile loop- never see the same beautiful scenery twice! This hike is just across the Ventura County Line takes you through some of the most spectacular SoCal scenery around. Beautiful sites– see rugged canyons, oak and sycamore-lined streams, and jaw-dropping views of the Channel Islands and Pacific Coast from the tallest peak in the Santa Monica Mountains. Your own private hike- There are lots of short side-trails you can take for private picnic areas with million-dollar panoramas. Casey’s Insider Tip: Stop for some great fried seafood at Neptune’s Net after the hike! We’ll be posting more fun date ideas in all our CMB cities, urban dating from the experts- so keep a look out on the CMB Blog! Welcome to Urban Dating: our first of a series of easy and fun date ideas for you and your Bagels. We asked urban experts across all 6 cities to give you guys some simple ways to have fun with your Bagels- just in case you are getting a little tired of the ol’ dinner and drinks routine. First up is LA! For this bussling city we found some Outdoor Dates so all you city goers can get a break from busy LA life! 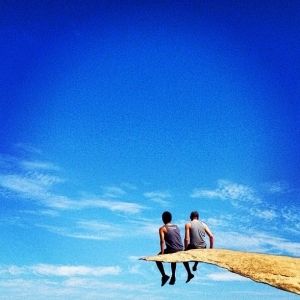 And who better to ask for advice on this than expert Modern Hiker- Casey Schreiner. Why you should listen to him: Casey is an expert hiker who has hiked and blogged over 100 of Southern California’s best trails. His blog Modern Hiker has been featured in Lonely Planet, LATimes, and for those of you more outdoorsy Bagels, Columbia Sportswear selected Casey as one of ten outdoors writers for their OmniTen program! Trail Condition: Very good. The Echo Mountain trail is well traveled, but well maintained. How To Get There: From the 210, take the Lake Avenue exit north from Pasadena into Altadena. Continue on the road as it climbs a hill and park near the sharp left hand turn outside the Cobb Estate. You do not need an Adventure Pass to park on the street here. Thanks Casey for your simple, free, fun date ideas! Keep an eye out for more of our urban experts best date tips on our CMB Blog! All you Bagels in Los Angeles, Listen Up! We teamed up with Sidecar to get you Bagels rolling for your dates! Sidecar is a new ridesharing app that is one of a kind! Sidecar allows people in LA to find drivers in the city willing to give them a ride! If you find a bagel between March 20th to March 29th, we will give you $25 dollars worth of sidecar credit! So don’t you worry about gas or even having a car, because Sidecar will bring you and your bagel around town! We bring back the Sunday Spotlight Series with Yue Xu (a.k.a. 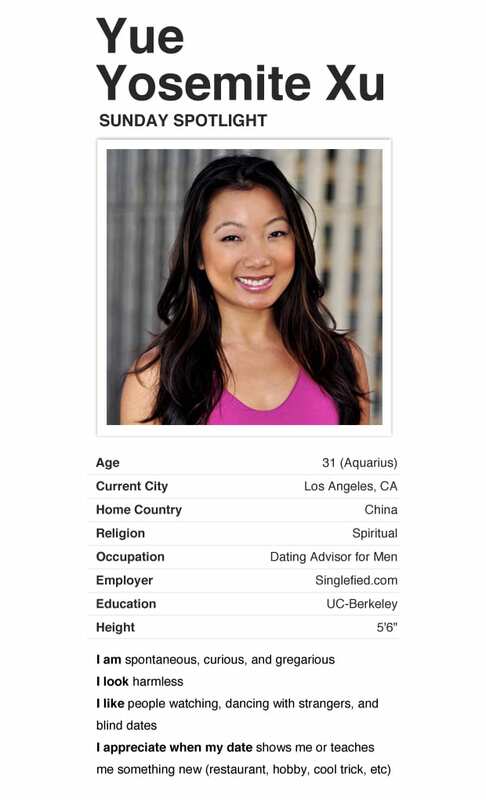 Ms. Singlefied), an expert dating advisor for men and the founder of the dating blog Singlefied.com. She shares with CMB members the three biggest dating success secrets (for both men and women) she has observed over her years of experience as a dating coach! Check out her video here. To keep up with her latest & greatest, follow Yue on tweeter @SinglefiedYue and Youtube MissSinglefied.